I have been craving for some good Garlic Noodles with Beef and Broccoli and making it at home is the only solution unless I want to drive 20 miles or more in this cold weather. 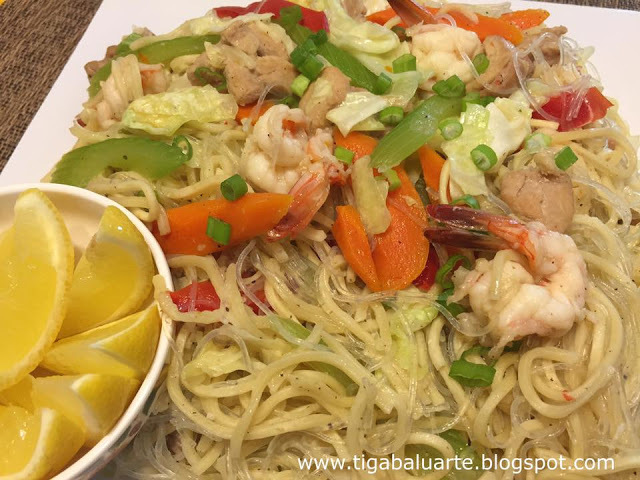 Garlic Noodles is fast to prepare and a perfect weekend dinner. I want to keep it simple so I used spaghetti noodles but lots of garlic. You can keep this meatless or add your desired protein as needed. Some like to use butter but I stick to olive oil. 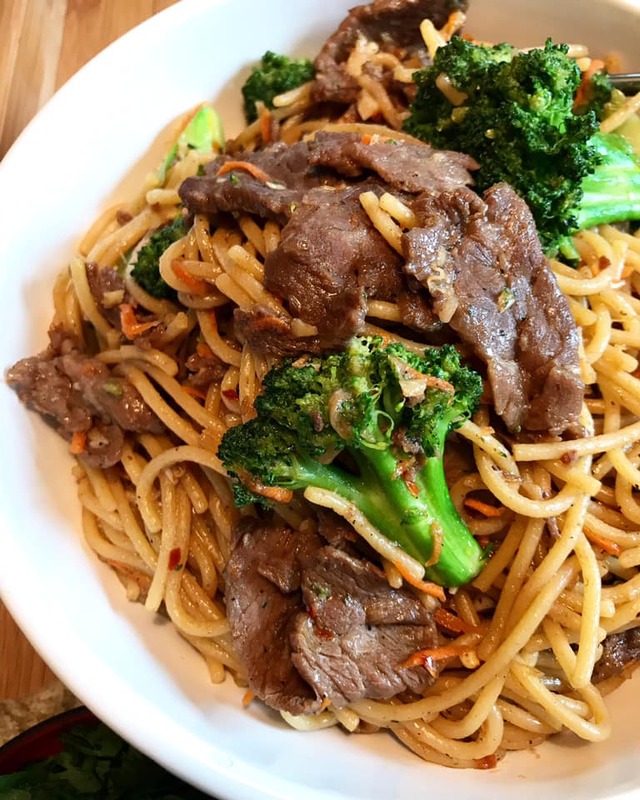 Asian-style Garlic Noodles with Beef and Broccoli are so easy to make and delicious. Garlic noodles is so good and ready in less than 30 minutes. 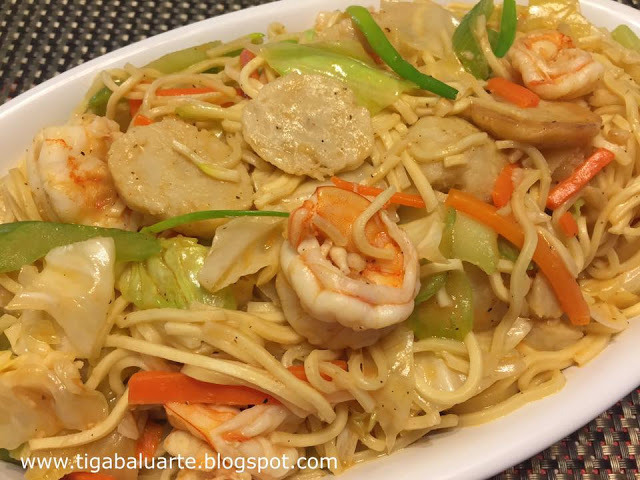 It is an easy stir-fry noodles using pantry ingredients that you already have on hand. You don't need any kind of special noodles. You can use lo mein noodles, miki noodles, spaghetti or other pasta noodles you already have in your pantry. You can use or add other vegetables like bell peppers, zucchini or snow peas. You can also top it with parmesan cheese but I like mine plain. 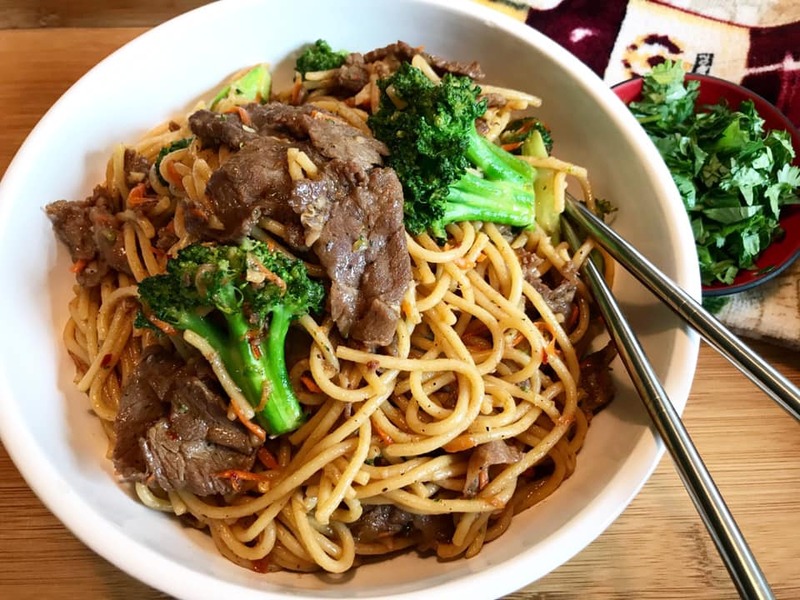 This Garlic Noodles with Beef and Broccoli is perfect for any occasion and are super simple to make. Give it a try and share. Let me know how you like it. Perfect for the upcoming holidays and kids friendly. 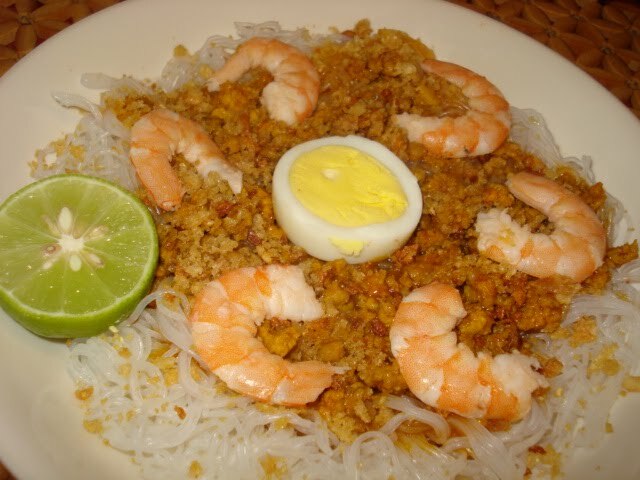 Next time I will make this with shrimps and maybe scallops, Yum! Boil noodles in water according to package directions. Add broccoli florets to the boiling pasta in the last 3 minutes. Drain the noodles and broccoli and set aside. In a small bowl combine oyster sauce, soy sauce, sugar, pepper flakes, ground pepper and ginger. Whisk and set aside. Using a wok or a wide pan, heat and add olive oil. Cook the steak until no longer pink. Add minced garlic and stir. Cook for 2 minutes. 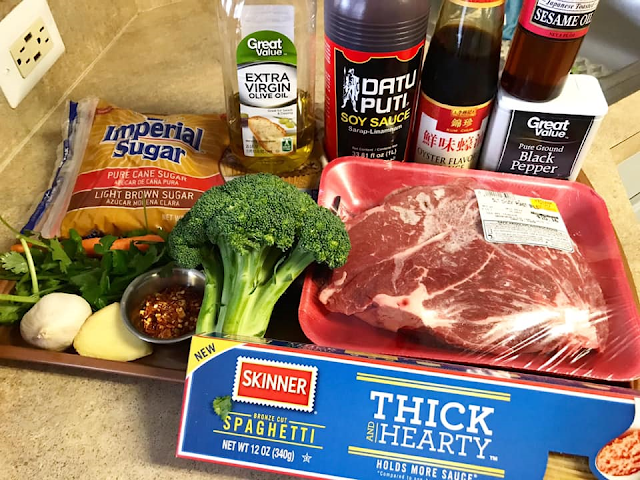 Add the drained spaghetti and broccoli to the wok and toss. Add shredded carrots to the wok and toss. Pour the sauce on top and toss until incorporated. Remove wok from heat and garnish with chopped cilantro or green onions. Toss and serve hot. Enjoy!